I'm using this phone for last 4 days. This is a very good phone at this price.Stylish phone and Performance is good. No lag. UI is impressive. Fastlane feature is very good all notifications and recently used apps in one place. WhatsApp is working fine no issues.I can play Games like Temple Run, Raging Thunder 2, Cut the Rope, Hill Climb Racing, Fruit Ninja without any lag.I face a little bit of lag while playing Subway Surfer. Sound quality of this phone is very good. Camera is good. but no self-timer in still image capture mode. It can play 720p video with the help of MX player or VlC media player smoothly. Battery backup is good. Install apps can be moved to internal memory card. but can't be moved to external memory card. I installed Google Chrome it works fine.Here Maps is really very good. I'm happy with it. Zacmartin14, 06 Jun 2014Installing a game directly in sdcard. I have already posted the trick twice this week, but its... moreHii broo.. I want to install asphalt 8 in nokia xl.. So Wat i want to do for that.??? Hi good budget phone. I was able to install whatsapp through 1mobile Market. Able to make skype calls. Installing a game directly in sdcard. I have already posted the trick twice this week, but its ok. U have samsung galaxy and this trick will definately work in a google‘s android and in xl too. Now like u want to download Fifa 14 (2gb), just do a google search on ur pc or laptop ‘Fifa 14 apk+data‘. Then download the data of the game from any site and also download the .apk file of the game. Then data folder, which will be in winrar zip format, extract it to ur sd card in this place, sdcard/Android/obb/paste here . Some games are placed in Data folder instead of Obb folder, it will be mentioned on the site. Then paste the apk file too and install the game by opening it. mani, 05 Jun 2014plxz tell me that its bluotoot works with other fone or not Yes it work. 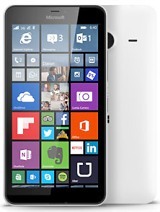 AnonD-271114, 06 Jun 2014Hi Friends, I purchased NOKIA XL y'day. However unable to download whatsapp & candy crus... moreU cn dwnld wtsapp via 1 market app. 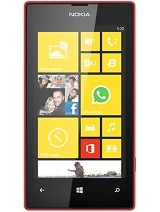 I m using wtsapp in my nokia xl. 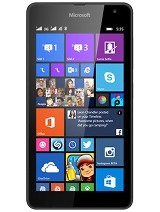 AnonD-271080, 06 Jun 2014guys tell me i am going to buy this mobile tell me its good or not or only big screen I'm a nokia fan but please don't go for Nokia XL. It's a rubbish device. Please don't waste your hard earned money. Outdated specifications and hardware. 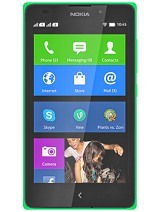 I'm going to buy NOKIA-XL please tell me it will support Whatsapp or not. 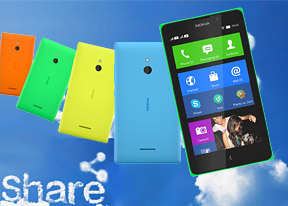 I purchased NOKIA XL y'day. However unable to download whatsapp & candy crush. For whatsapp i got a message that your device does not support this application. AnonD-269733, 06 Jun 2014Bro can you tell me is this phone supports whatsapp+ or not or apps like mxplayer ......... &a... moreyes it supports all apps that you mentioned and while playing hd videos in s/w mode of mxplayer no lagging is found. camera quality is also better than similarly priced and similar spec devices.